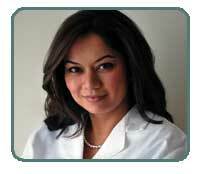 Dr. Geetika Tahim attended the University of Virginia where she graduated with a bachelor of science in Biology. She received her degree of Doctor of Dental Surgery at New York University College of Dentistry where she graduated in the top 10 percent of her class. Dr. Tahim also completed a general practice residency at New York Methodist Hospital to fine tune her skills and then became chief resident at New York Queens Hospital. After returning to Virginia, she worked for a private practice in the DC metro area and now has started her own dental practice unique to her own style dedicating herself to patient care and patient satisfaction. She loves the collaboration of technology and cosmetic dentistry which one can see at once on entering her office. She believes in meticulous care of each of her patients as they are a reflection of her work and therefore spends extensive time outside of work educating herself in the latest technologies and advancements of the field of cosmetic dentistry. For her dedication to providing outstanding dental care and experience for her patients, she was awarded the America’s Top Dentist Award in 2009 by Consumer’s Research Council of America. She is currently a member of Omicron Kappa Upsilon National Dental Honor Society and the American Dental Association. Dr. Tahim in conjunction with General and Cosmetic Dentistry performs many specialty aspects of her profession as well, including Veneers, Invisalign, Endodontics, Implants, Periodontics and Restorative dentistry. Her office is designed with the latest in modern dental equipment to provide a pleasant and relaxed environment for her patients. Patients love Dr. Tahim’s gentle touch and friendly demeanor and the way she puts care first in providing her dental services for the whole family. At home, Dr. Tahim is a wife and mom who enjoys spending her time with her young son. She enjoys cooking Indian food in her spare time and loves to travel. She looks forward to meeting you in our office with a smile in design especially made for you. Dr. Tahim visits Montessori School of Herndon, VA and teaches preschoolers about oral hygiene. Email Dr. Tahim with your questions or comments.